Big thanks for judging to Julia Pashko, Nemanja Jovanovic, Dusan Paunovic, Sergey Slukin, Victor Shiyan. Many thanks for our trainer Alena Tiutiunnyk! Florida Iris Team results from IDSs in Bulgaria, Asenovgrad, 19-21/10/2018. Big thanks for judging Galyah Litova, Georgi Hristozov, Antonio Mracevic, Rui Oliveira! The biggest DogShows in Ukraine. 3* IDS FCI, Kyiv, Ukraine. Thank to all judgers! Thank for help to Алена Тютюнник, Оля Васильева и Татьяна Черныш! Big thanks to all judges! 19.05.2018 NDS -20.05.2018 IDS FCI Kharkiv Ukraine. 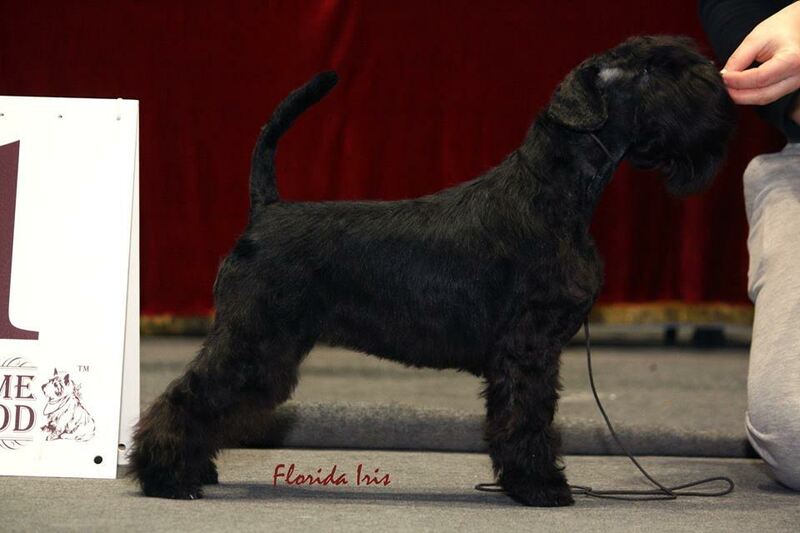 Florida Iris Weekend in Kyoto (Harry) - 2ex./ J.CAC,BOB , new Junior Champion of Ukraine! Jasenak Believe In Yourself (Leo) - CAC, CACIB, BOB, BIG-1, BIS-4!!! 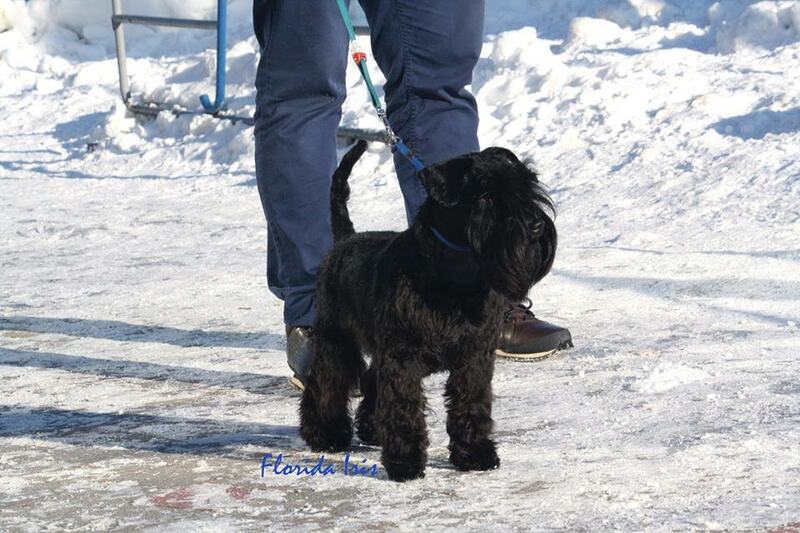 CH Victorious Star Bombastic (Play) - CAC, BOB/ CAC, CACIB, BOB / CAC, BOB on special ring! Many-many thanks for judging to Людмила Лаврова(Moldova), Татьяна Вострых (Moldova), Татьяна Шиян (Ukraine) and Виктор Шиян (Ukraine) . Big thanks to Lena and Leonid Kudashkiny for organization! white standard poodle Jasenak Believe In Yourself (Leo) (open class) - CAC, CACIB, BOB/ ex/ cc,cw, new Chanpion of Ukrainian Poodle Club! red miniature poodle De Ljuvi's Fleyming Light (Ru-Ru) (junior class)- v.g. / J.CAC, BOB / cc,cw, new Junior Chanpion of Ukrainian Poodle Club! zwergschnauzer Zauber Zwerg Evangelina (Ева) (puppy class)- pr / pr / v.pr., Best Puppy! Big thanks to all judgers! Jasenak Believe In Yourself (Leo) - CAC, BOB, new Chanpion of Ukraine / CAC, CACIB, BOB, BIG-1 !!! Big thanks to Vitaliy Hizhnyak(Ukraine) and Anjey Kazmerskiy (Poland) for quality and friendly judging! 2-3-4.02.2018, 3*IDS FCI Moldova, Chisinau. Victorious Star Bombastic (Play) - 3*CAC, 3*CACIB, 3*BOB, BIG-2, new Champion of Moldova, Grand Ch of Moldova, Craft qualification, norma INTER CH! Rui Oliveira in the II Group ring! Many many thanks to Алена Тютюнник (Alena Tiutiunnyk) for care and handling my super boy! First Shows in junior class for our Ru-Ru. Not a bad result! Big thanks for grooming to Оля Васильева (Olya Vasileva)! Thanks for judging to Anna Rogowska (Poland), Julia Pashko (Ukraine) and Leonid Sivak (Moldova)! Congrats to breeder Людмила Батищева (Luidmila Batisheva)! 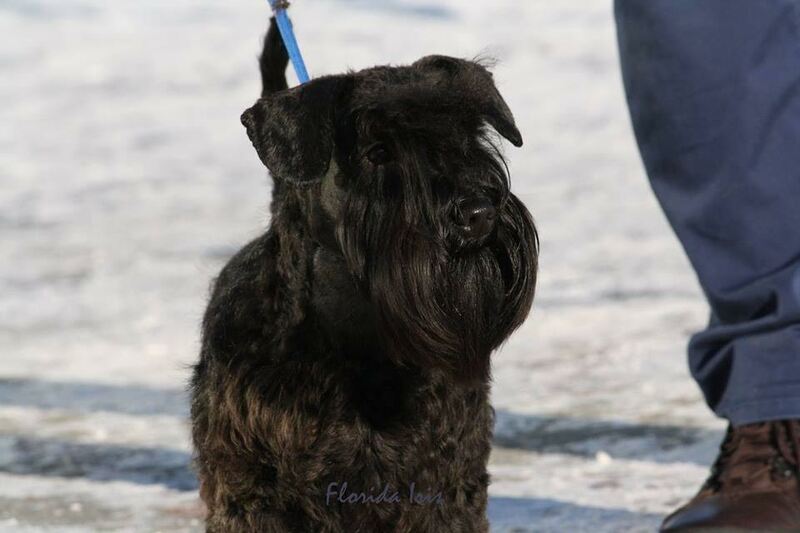 First DOG Show in 2018 for Florida Iris kennel! Good start of this year! Big thanks to all judges and Alena Tiutiunnyk for care and handling! 2017 is ending. The main Ukraine Dog Shows were finished. It was first show where I wasn't. But we did it!!! Jasenak Believe In Yourself (Leo) - CAC, CACIB, BOB. Many thanks to honorable judges Eva Liljekvist Borg (Sweden), Tijana Konrad (Serbia), Igor Semenenko ( Ukraine), Dr. Roberto Schill (Romania)! 7-8 Oktober 2017 Kharkiv, Ukraine, IDS "Major Cup" and NDS "Andrey Pionov Cup". Big thanks to judgers Галина Жук and Hans van den Berg for their choiсe! Many thanks all my friends for support and help! 8-9 May 2017 NDS "Кубок Дергачевского РО ХО КСУ" and NDS "Victory Day 2017"
Jasenak Believe In Yourself (Leo) - 2*J.CAC, 2 BOB. Victorious Star Bombastic (Play) - CAC, BOB. Zauber Zwerg Bonita (Baffy) - J.CAC, BOS. Many thanks for judging Виктор Шиян (Ukraine) and Людмила Лаврова (Moldova)! Big thanks Леонид Кудашкин and Елена Кудашкина for organisation this Shows! The life with poodles! What can be better? In this holiday we visited 2*NDS "Kharkiv Spring 2017" with our rising star LEO! Jasenak Believe In Yourself (Leo) - 2*J.CAC, 2*BOB, Junior BIS-4, BIG-3, BIG-1, new Junior Champion of Ukraine! Thanks Yuriy Gergel (Ukraine), Michael Papadatos (Greece) and Viktor Chernyavsky (Ukraine) for judging! Thanks for organization this Shows " Союз Виват club". The weather was super! We met a lot of our friends. And we had more positive emotions! Not bad start to the Show career of our white prince Leo. JCAC, JBOB and Best Junior of Group 9!!! 9 April 2017 Special Poodle Ring. Honorary judge Dragana Bujisic Vasiljevic.